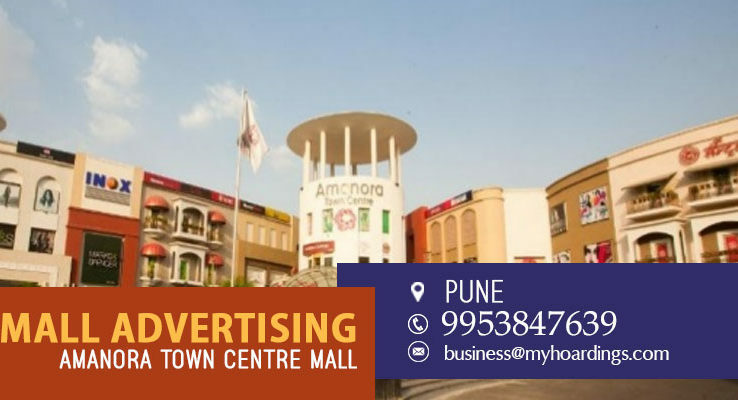 A boring weekday can be turned to a splendid day if you get to Amanora Town Centre Mall. One of the largest mall of Pune, states itself as the fashion and food capital of the city. The mall has plethora of domestic and international brands. The Inox theatre is a delight for movie lovers and the never ending galleries and huge atrium calls for various events, promotion and advertising opportunities. Be it cinema branding, kiosk branding, drop-down hangings, lift branding or facade branding, the mall offers huge space and uncluttered environment for everything.